Verity passed first time on 31/10/13! Go-girl!!!!!! 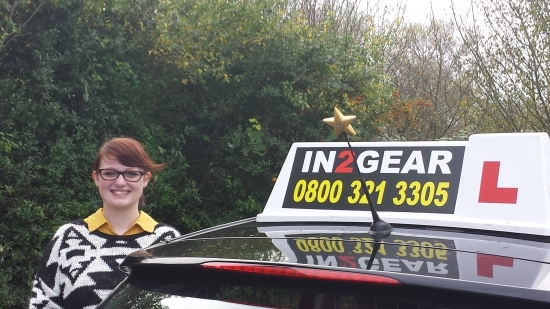 Halloween proved to be a memorable time for Verity to book & pass her test. Fortunately she didn´t scare the Examiner on her perfect drive! "Just wanted to say a big thank you to In2Gear and Dom my instructor. After plucking up the courage to even get in a car, Dom helped me build up my confidence on the road as well as my ability to drive. Step by step instructions are given to help you tackle each new stage of driving. I would throughly recommend this driving school to anyone that is nervous about driving or wants to get a great experience whilst learning!